On Sunday it became official; former UFC champion Ronda Rousey has made the jump from MMA to the world of professional wrestling. Her love for the scripted entertainment industry is well known, and this move was rumored for months. However, it is still an intriguing move for the former champion, but one that may not end as well as expected. 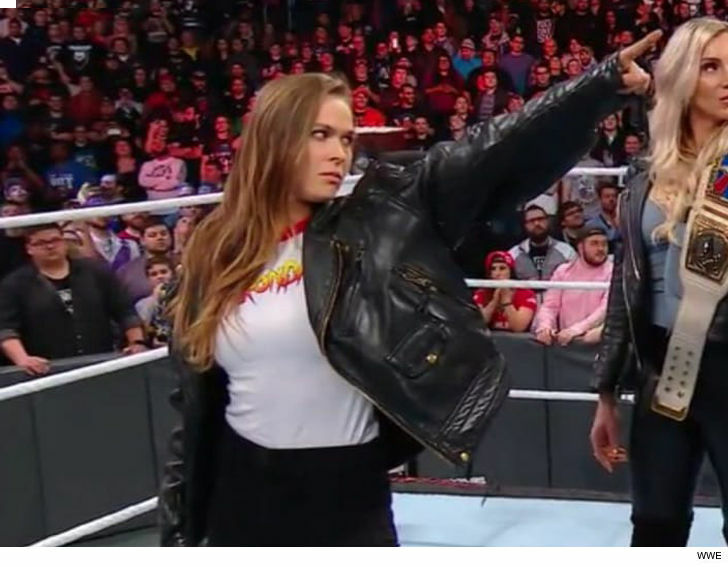 After 30 women participated in the first ever women’s Royal Rumble, fans were surprised to hear “Bad Reputation” blare from the sound system and see Rousey walk to the ring, draped in "Rowdy" Roddy Piper’s leather jacket. The next moments created a wealth of speculation that has yet to be confirmed, and it’s clear that Rousey became a talking point in not only professional wrestling, but the professional sports as a whole. Millions of fans will wait with bated breath for her WWE debut performance and watch her “full time” career as a part of the promotion takes shape. However, there are still some concerns as to how this will play out. On Tuesday, Rousey’s name and image was booed by the live crowd during the show WWE Smackdown. The conversation across social media included complaints about the way she was introduced, as well as continuing jokes surrounding her last two UFC performances. For those in the know, the professional wrestling fan base can be a very cruel group with an especially vitriolic response to wrestlers who they believe are forced to the forefront. Rousey’s appearance overshadowed what occurred an hour before when 30 women made history in the ring. That likely motivated the negative response two days later, when the simple gesture of showing Rousey’s name on screen caused the fans in attendance to boo. This is something that the WWE creative team will need to manage carefully. In the world of professional fighting, Rousey struggled with dealing with loss. The way she handled being defeated by Holly Holm and Amanda Nunes elicited a lot of criticism from experts across the sport. In many respects, that struggle shouldn't matter now that she's in the world of scripted sports, but that’s not entirely the case. Brock Lesnar, another former UFC champion, has seen his past defeats referenced in jest on WWE broadcasts. Will Rousey be open to the same type of tactics? Probably not. How will she respond when WWE fans turn on her and chant the names of the women that viciously stopped her? Probably not well. We’ve seen professional wrestlers with years of experience get rattled when fans in the arena “highjack” a show with their behavior; will Rousey be able to deal with those moments? The answer to that question is probably a long way off, but before then, both she and the WWE braintrust will have to make sure she's ready to handle. Whether mixed martial arts fans enjoy professional wrestling or not, there’s a certain intrigue around this phase of Rousey’s career that will draw attention. The outcome is much more difficult to predict than other aspects of professional wrestling, that makes the story much more compelling. However, if you're expecting big things immediately out of the gate, you'll need to temper your enthusiasm.